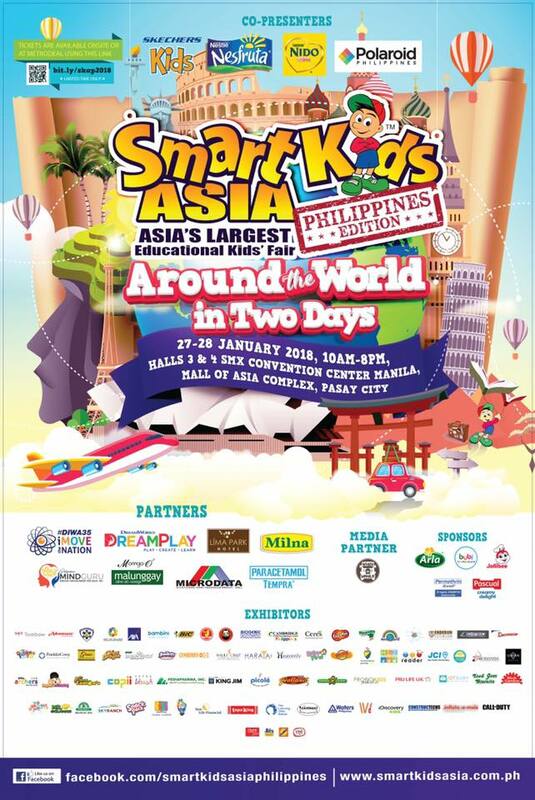 SmartKids Asia, Asia’s largest Educational Kids’ Fair, is back on its 4th year in Manila! Check it out on January 27-28, 2018 at SMX Convention Center! This event offers unparalleled opportunities to explore your child's potential through fun and mind-stimulating activities, family-centric exhibits, and thematic booths. Explore and observe your child's strengths, and have the opportunity to develop his or her skills and talents that will help him or her become a well-balanced, healthy, and happy individual. Be overwhelmed with a vast array of educational activities and learning programs that fulfill the cultural, educational, and social needs of children. Buy tickets onsite for P250 for 2 kids and 2 adults. You can also buy discounted family tickets from Metrodeal HERE. Entrance is FREE for senior citizens, PWDs, and kids 2 years old and below. For inquiries, please email dyan.gonzales@smartkidsasia.com​.ph, or visit smartkidsasia.com.ph.